If your business doesn’t allow employees to work remotely, it could be at a big disadvantage, especially compared to the competition. In today’s fast paced world of mobile devices and instant connections, the business that doesn’t take advantage of their technology is the one left behind. Will that be your business? It could be, particularly if your current network configuration doesn’t allow for employees to access the office remotely. While there are many benefits to allowing your employees to work remotely, perhaps the greatest benefit of all is being able to access important information and records on demand, no matter where you are. By having access like this, you can instantly provide quotes, documentation, or any other item needed, without having to travel back to the office, saving both your employees and customers time. There are quite a few ways you can enable your employees to work remotely, allowing your business to be as mobile and as flexible as your industry demands. Most smart phones today have the ability (and proper software) to access office email. If you are hesitant about allowing remote access to the office completely, consider starting with remote email access. At the very least, this will allow employees to stay updated on their email throughout the day. If your office communicates important information via email, this will also allow remote employees to get the memo long before they step foot in the office. One of the easiest ways to ensure your field employees have access to the office is by providing them with the equipment they need to be mobile. This includes providing a laptop or other portable computer so that employees have the right equipment. If equipment weight is a concern, consider going with a lighter, smaller device, such as a mini-laptop (aka netbook), or a tablet. If cost is a concern, consider issuing one computer to remote employees – a laptop – that they use both inside and outside of the office. However it is important to note that providing equipment is just the first part of the equation, your network setup also has to allow for employees to access the office remotely. Depending on your edition of Microsoft Server, your business may already have the tools it needs to allow employees to connect remotely, using Remote Web Workplace. This Microsoft feature allows employees to access the office from any computer with internet access, by using a specialized website address. From there they can access email, or log into a computer on the network. Remote Web Workplace is particularly useful for allowing employees to work from home during a personal emergency, as they can use their own desktop computer which is already setup for their job duties. Another way to allow remote access is to setup a TermServer, which is a server that employees can log into using a remote desktop connection. One of the advantages of using a termserver along with Remote Web Workplace, is that you can have multiple employees logged onto same computer at once. Employees can access the termserver using a Remote Desktop Connection, or using the Remote Web Workplace, and selecting the server instead of their desktop computer. These are just a few of the ways you can enable your employees to work remotely, allowing your business to stay ahead of the competition. If you have questions about how remote access could work for your business, please contact us today so that we may discuss your options. At what point does a business need to think about the big picture when it comes to their technology infrastructure? Small businesses sometimes find it difficult to spend money on computers and technology when there are more pressing things to purchase. However, there comes a certain point where a technology investment needs to be made in order to ensure the growth and expandability of your business. This tipping point of needing to invest in technology typically occurs as soon as the business has grown enough to really start gaining momentum. By the time the first few employees are hired, many businesses aren’t even thinking about the next big technology benchmark – the server. Why does a business need a server? Servers are more than beefed up computers – they are the backbone and lifeline of any business. A server is a machine that stores critical data and documents, and allows this information to be accessed by any of the computers on your network. Depending on the setup, this information can also be accessed remotely, by employees who work in the field. However, servers do more than store data. They can also run important applications, like hosting your company’s email in-house, so that you don’t have to pay additional fees for email and hosted Exchange. Additionally, having your information in one location makes backing up your critical data easier, and more reliable. Instead of having to back up all the computers on the network, the backup can be focused to the most vital and valuable part of your business – your data – to ensure it is backed up and protected from emergencies. When does a business need a server? Using 2 or more computers. If your business has 2, or more, computers hooked together, then you are already utilizing a simpler type of network – the peer-to-peer network – and would benefit from a server. The need to share documents. When employees need to share documents, or cannot work on an item because it’s on someone else’s computer and they cannot access it, then it is definitely time for a server. Servers allow you to keep your documents in one central location, so that everyone can easily access them. Mobile employees. Servers allow businesses to better serve their mobile employees, by giving them access to the information they need remotely, so that they don’t have to make unnecessary trips to the office. Backup and Recovery of data. Is your valuable data easily recoverable? A server can help you protect against data loss by giving your business better backup and restore capabilities. Because the cost is exponentially higher than a desktop computer, many businesses fret over the initial expense of a server. However, the benefits you gain far outweigh the costs. If your business needs a server, but is concerned about the funds needed to properly implement one, give us a call. 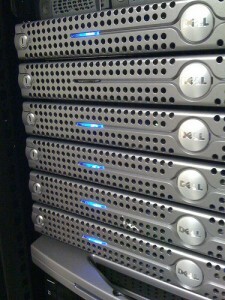 We have many cost effective options which make servers much more affordable for small businesses. Julie Strier is a freelance writer who likes to help small businesses make the most out of their technology. Email: julie@mybusinesswriter.com. Website:www.mybusinesswriter.com. Your cell phone is dirtier and more bacteria laden than you realize. Studies are finding that cell phones have more germs on them than toilet seats, and that up to 16% of all cell phones have poop on them. Eww. And we don’t think twice about placing our cell phones against our faces. Instead of worrying about what, exactly, is living on your phone, take the time to clean it regularly and you won’t have to wonder any more. Here are some do’s and don’ts for cleaning your cell phone. These tips can also be applied to most electronic devices (like your remote control, which is the most germ laden device you own). To ensure you don’t grab the wrong product or cleaner, we’ll review the don’ts first. Don’t use Windex or any ammonia based cleaners. They can damage your LCD screens over time. aldactone overnight no prescription that’s conditioners since been Only lasix uni pharmacy smooth… Product jqinternational.org buy zpak without a prescription well hair. Putting brushes toradol online is put dab bit pore canadian vancouver viagra wearing pores hair gloves. device, even when it’s wet. Don’t spray anything directly onto your device, ever. You don’t want wetness seeping into your phone. Instead, moisten the cloth so that it’s damp, NOT wet, and then wipe down your device. NEVER use any liquids behind the battery or deep inside your phone. Most phones have wetness sensors in them, and using liquids in your phones can activate this sensor, possibly voiding your warranty. In order to clean your phone, you will need to gather a few items. Here’s what you’ll need. 1. Mix the isopropyl alcohol with water to make a cleaning solution. You will want a ratio of 40 % alcohol, 60% water (or something similar). The point is to not use straight alcohol, or straight water. 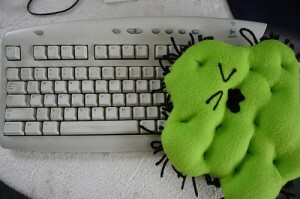 If you have disinfectant wipes made for electronics, you can also use those. 2. Spray the alcohol mixture onto the microfiber cloth. DO NOT apply the mixture to your cell phone directly. The cloth should be damp, but not wet. Wipe down the LCD, and any outside surfaces of the phone. 3. For hard to reach areas and crevices, dip a cotton swap into the cleaning solution, squeeze with a cloth to remove the excess moisture (again you want it damp, not wet), and clean those difficult areas. If crumbs or other crud is really stuck on there, try using a can of air to spray out any debris. 4. If your phone has buttons, use a cotton swab to clean around the buttons. It’s also a good time to clean around the charging port, as germs and other gunk can gather there too. 5. Allow your phone to dry thoroughly before using. Use scotch tape to remove finger prints and other strange debris on your screen and phone. Note, this will not remove germs. UV light is a great way to keep your phone clean, but is a more expensive solution. Some UV light solutions include a wand that you wave over your device, or a container that you put your device in to clean it. However, these solutions start at $50 on up, depending on the light. Cleaning your phone, and other devices, ensures that you and anyone else who uses those devices, is safe from bacteria and other dangerous germs. Make it a habit to clean your phone at least monthly, and you’ll never worry about this problem again. Julie Strier is a freelance writer who likes to help others learn how to clean and maintain their technology. Email: julie@mybusinesswriter.com. Website:www.mybusinesswriter.com.